Your wedding day is one of the most important days of your life and Midlands Limos Hire understand this. Over the years we have worked alongside a large number of clients and have gained a vast amount of wedding cars hire experience. We want to pass this experience onto you, helping to ensure that your wedding day is one of the happiest days of your life. 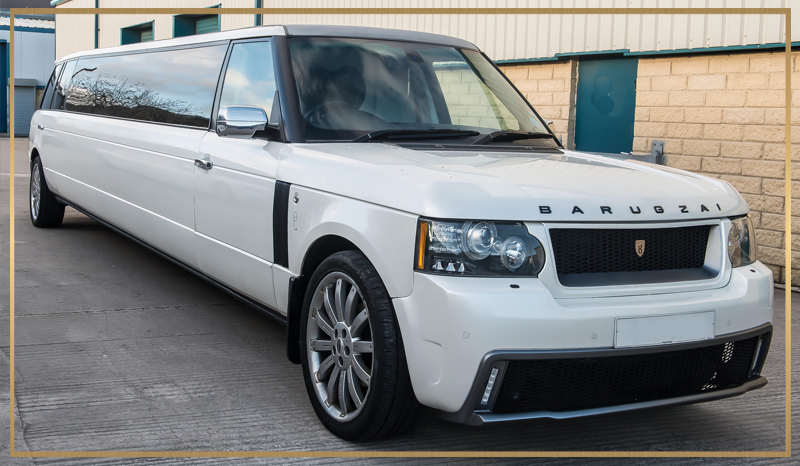 We promise to supply you with a wedding car which will arrive immaculately presented, on time and with a chauffeur that will be polite, courteous and dressed impeccably. 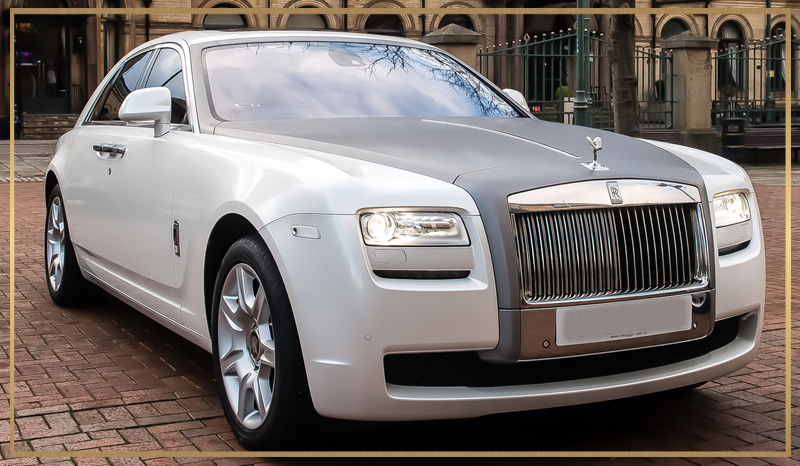 Our range of wedding cars includes two stunning Rolls Royce Phantoms, one in silver and one in white, to help you make a gracious arrival on your big day. 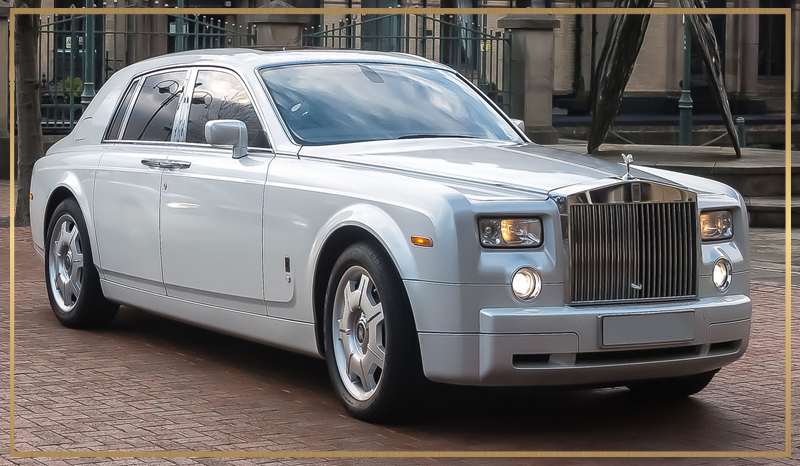 The Phantom is one of the ideal wedding cars as it has been constructed with coach doors to the rear of the vehicle. 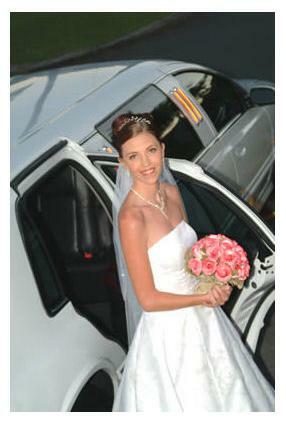 The coach doors are hinged at the rear, which allows you to make an elegant exit of the vehicle on your big day. Alternatively, we have an equally impressive range of prestige Bentley vehicles to choose from, which includes the Bentley Continental GT, Bentley Arnage and Bentley Spur. All of our Bentleys are real head turners and have been handcrafted here in the UK. The Bentleys have a very distinct look and are engrained with a rich, 90 year heritage and are a superb choice for wedding cars. The Bentley vehicles have the added advantage of making a fantastic backdrop for any of your wedding day photographs. Other wedding cars in our range include the Mercedes S Class and the Mercedes CLS. Mercedes have always produce luxury vehicles and our Mercedes vehicles are an excellent example of the new sleek and stylish motor cars, which Mercedes have been producing recently. Luxurious, comfortable and elegant, our Mercedes cars are always a popular choice amongst our clients. 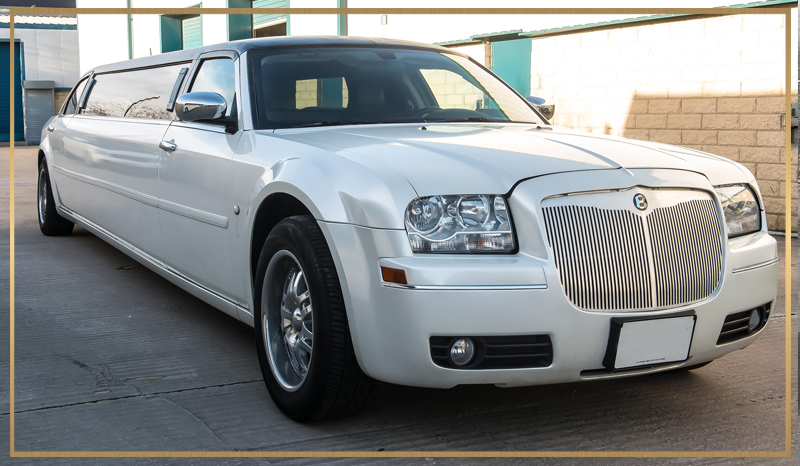 If you are looking for transportation for your guests or bridesmaids, we have a beautiful selection of stretched limousines, including the impressive Baby Bentleys, which make the perfect accompaniment to any of our aforementioned Bentley wedding cars. 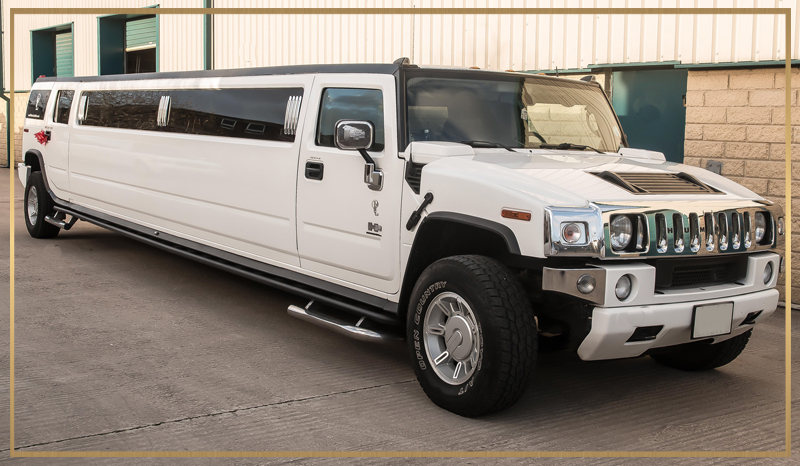 Alternatively, if you wanted to make a statement, you could select one of our white stretched Hummer limousines which make the ideal wedding day carriage. 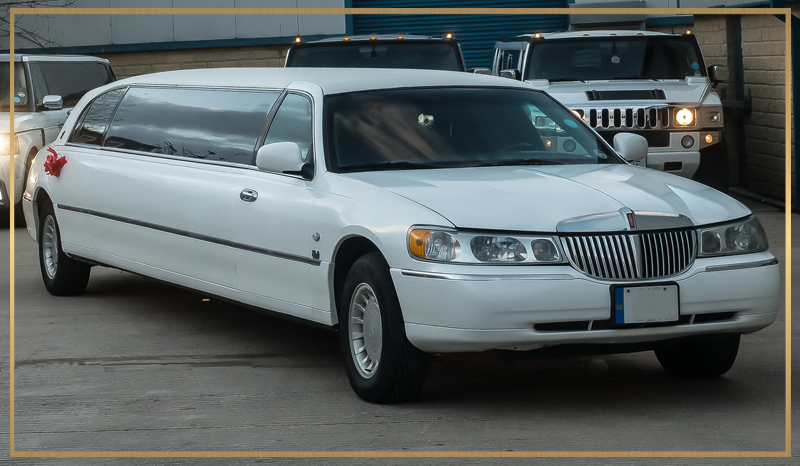 When you choose Midlands Limos Hire to provide you with your wedding car/ wedding cars, we will assign you with your own personal assistant to manage your transportation needs. If you have any questions, you will be dealing with only one individual, who will endeavour to make your wedding car hire experience as effortless and stress free as possible. 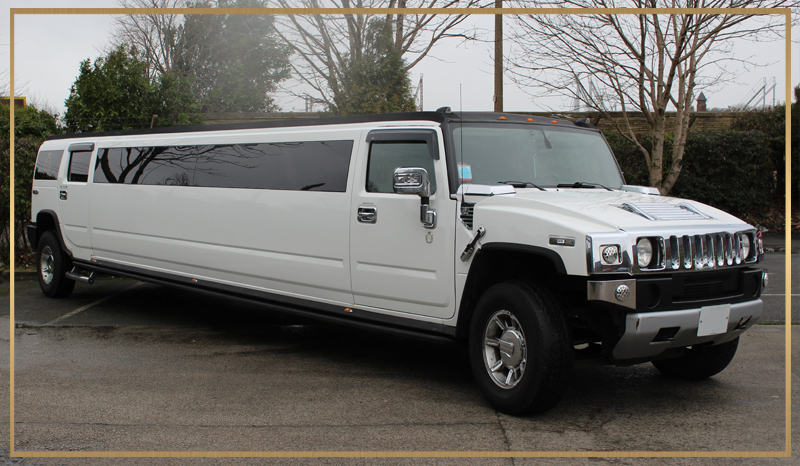 Our vehicles will be provided with ribbons and bows and our limousines will be provided with complimentary bubbly. If you are interested in hiring wedding cars or our exotic limousine hire fleet and would like to discuss your wedding day requirements, including our mid-week wedding car hire special rate, please feel free to contact us on 0800 107 5225. We offer a nationwide service on all our limousines and prestige cars. Whichever wedding car you decide to take on your memorable day, one thing we can guarantee you is that you will be over the moon with whichever vehicle you take from ourselves, we are now known wedding specialists and with over ten years experience in dealing with big wedding days, wedding cars and knowing the importance of perfection we have took customer feedback into consideration and created the perfect package. Whether you choose to have the wedding car all day or just for a simple one hour we will certainly make your day and unlike other companies we will be there to support you all the way through up to your wedding, if you have any queries about the day you can give us a call and one of our friendly members of staff will help you. 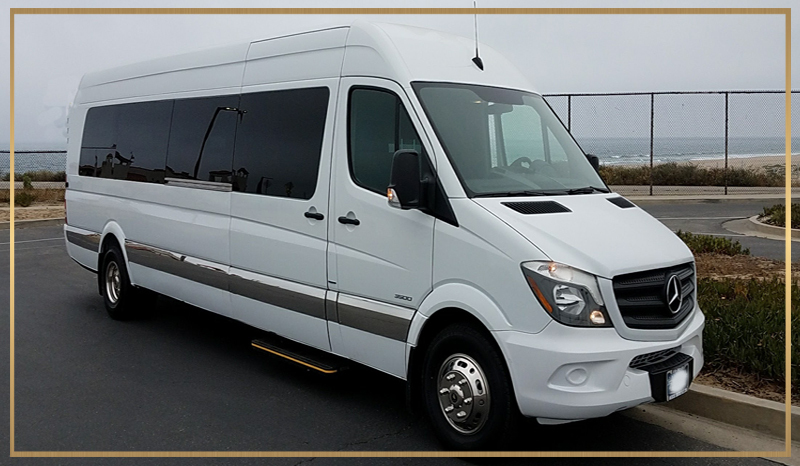 With all the pressure of the big day on your shoulders, kick back and let us travel you in true style to your wedding day.